Saphira Low Chem & DOP Plates. Avoid chemistry and substantially save on rinse water for imaging and cleaning of printing plates in the developing process. Until now, different chemicals are needed in the development process of printing plates for de-coating of the imaged area. Through the use of our patented cascade system, newly designed Saphira processors minimise the use of chemistry or clean out gum and wash water. The introduction of the new processors with the novel cascade system makes the last cleaning step with tap water unnecessary. Thus each plate saves you 5 – 10 liters of tap water and extrapolated to more than several thousand liters a year! A contribution to a better environment with Saphira printing plate systems. The future of plate making is here: Reduce the use of chemicals to the lowest levels and save significant amounts of water. 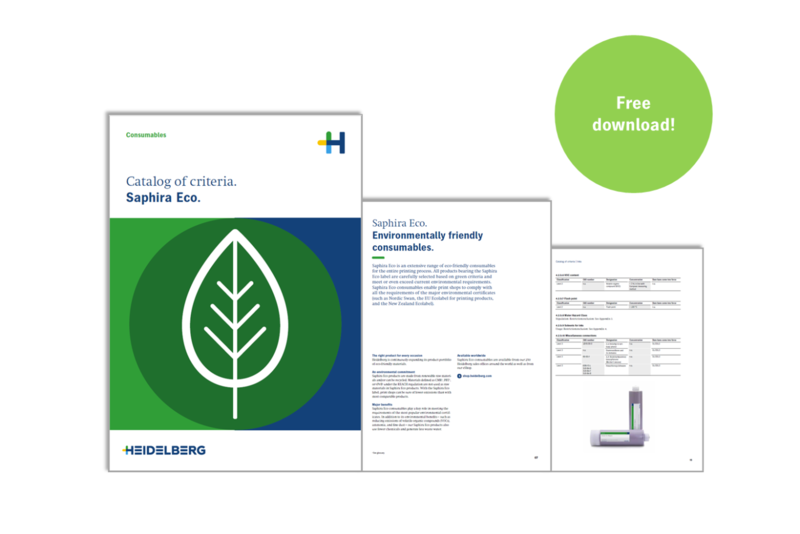 More about our Saphira Eco consumables.